The market is slowly coming to terms with the interchange fee caps and is moving forward. The key news in May was the notification of the official closing dates for the Etihad Guest, American Airlines and Virgin Atlantic credit cards. Our directory of the 16 main UK travel credit cards can be found by clicking the ‘Credit Cards’ tab at the top of the site or – for email, Flipboard, Apple News or mobile readers – by clicking here. What is new in the last month? MBNA has finally announced the closing date for these cards. You will be swapped onto their Horizon Visa card. This is a surprisingly impressive card to use when travelling as I explained in this article. 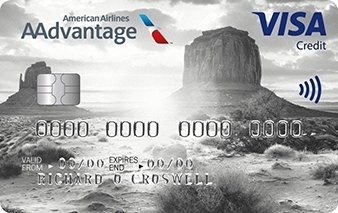 If you are looking for alternatives to the American Airlines credit card, read this article. For alternatives to the Etihad Guest credit card, read this article. There is still no word on when the United, Emirates and Lufthansa credit cards will close but it will happen. 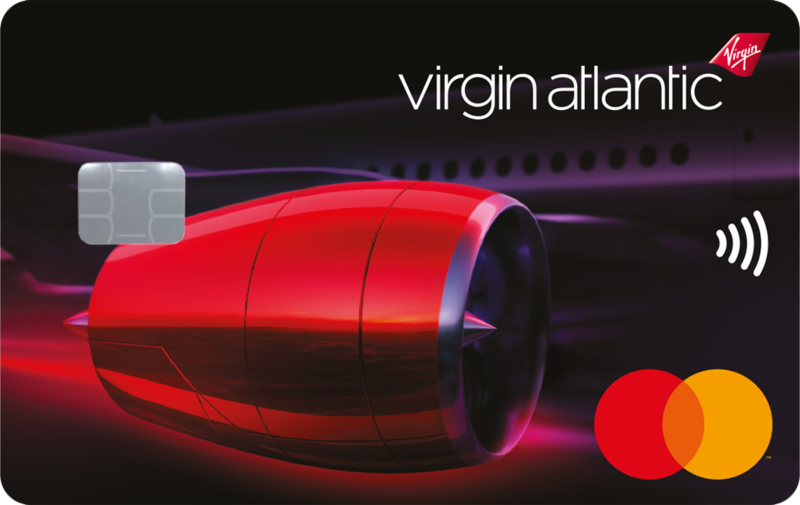 The MBNA Virgin Atlantic cards will switch earlier. Charges must post to your statement by 6th July if you want to earn Flying Club miles. From the 7th, your card will be operating as a Horizon Visa. This article will help you decide which of the two new Virgin Money issued Virgin Atlantic cards is best for you. The website for the two new cards is here. You CAN apply for the new cards – and get a sign-up bonus – if you already have the MBNA Virgin Atlantic credit cards. You don’t need to wait for your MBNA cards to be closed on 7th July. As long as your credit is excellent, picking up 5000 miles from the free Virgin Reward credit card seems a no-brainer especially as there is no minimum spend threshold. Legal stuff: I need to tell you that the free Reward card has a representative APR of 22.9% variable. The Reward+ card has a representative APR of 63.9% based on a notional £1200 credit limit and the annual fee. The representative APR on purchases is 22.9%. Of the (few) temporary special offers currently running, don’t forget the 2,400 Avios or 2,500 Virgin Flying Club miles sign-up bonus on the FREE Tesco Clubcard Mastercard. The bonus is actually 1,000 Tesco Clubcard points but that converts into Avios or Virgin miles at the rates above. We rarely see a bonus on this card. You don’t even need to hit a spend target – you get the bonus as soon as you make your first transaction. The representative APR is 18.9% variable. My full article on the deal is here and you can apply here. The Tesco Clubcard Mastercard is the most generous free Visa or Mastercard for earning Avios unless you have a £75k+ salary and qualify for HSBC Premier. The Tesco Premium credit card is offering a sign-up bonus of 5,000 Tesco Clubcard points until 11th July. This means that the bonus is worth 12,500 Virgin Flying Club miles or 12,000 Avios. There is no spend target. You simply need to make one purchase in Tesco within the first two months. The snag is the £150 annual fee, which basically nets off the bonus. This means that whether you get the card depends on how you value the other benefits, including free travel insurance and a strong (for Avios) earning rate which works out at 0.6 Avios per £1 spent. If you spend over £5000 per year with Tesco on this card, including petrol, you receive an end-of-year bonus of another 5,000 Clubcard points. This does make it a decent proposition but clearly not many people spend that much. You can apply here but read my full article on the deal first. Representative APR 56.5% variable, including the fee, assuming a £1200 credit limit. Finally, remember that the Marriott Rewards Mastercard is returning in August. We don’t know the terms yet but Creation will be the issuer. What are the best travel credit card sign-up deals for June? If you are looking to apply for a new credit or charge card, here are my top recommendations based on the current sign-up bonus. The British Airways and Tesco offers are special deals, the Virgin Atlantic cards are new whilst the IHG and Amex cards are consistently strong offers. For an unspecified period, the bonus on this free card increased from 3,000 Avios to 5,000 Avios. My full review of the card is here. You can apply here. Representative APR 22.9% variable. For an unspecified period, the bonus is increased from 18,000 Avios to 25,000 Avios. I wrote a full review of the British Airways Premium Plus card here. You can apply here. Representative APR 76.0% variable including the £195 annual fee based on a notional £1200 credit limit. You receive a pro-rata refund on the £450 fee when you cancel the card and you will retain most of the benefits – Starwood Gold (which you can instantly match to Marriott Gold), Radisson Gold, Hilton Gold, Melia Gold and Shangri-La Jade – for the rest of the year even after you cancel. The Amex Platinum benefits package is extensive, though, and once you’ve got it you might find the numbers add up for you. I have had one for 15 years. The two new Virgin Flying Club credit cards are the most generous Mastercard or Visa cards for day to day spending. The free Reward card (with a 5,000 miles sign-up bonus) earns 0.75 miles per £1 whilst the annual fee Reward+ card (with a 15,000 mile sign-up bonus) earns 1.5 miles per £1. There is no spending target to hit to receive the bonus. Reward: representative APR 22.9% variable. Reward+: representative APR 63.9% variable including £160 fee based on a notional £1200 credit limit. Interest rate on purchases 22.9% variable. There is a rare sign-up bonus on this FREE card at the moment. Apply via this special link and you will receive 1,000 Tesco Clubcard points with your first purchase. These convert into 2,400 Avios or 2,500 Virgin Flying Club miles. This is a quick and easy return on a card with no annual fee. Representative APR 18.9% variable. Isn’t the current best route to Amex Plat via Gold for 20k then the upgrade for another 20k? But does this work Gold credit ->Plat charge? Doubt it, different card types now. Massively unlikely for legal reasons. I messaged Amex last week and said I would be applying for a gold card in July as less than 6 months since I last cancelled my last one I would get the current offer. At this point asked if I wanted to upgrade to platinum would I get points to upgrade he yes yes, I think it was 20K . Spend requirement is £1k by 2/3 months IIRC and the upgrade offer is open too all right? The upgrade offer is meant to be targetted so if you haven’t been targetted there is the risk you won’t receive the 20k. No. There are recent reports on here of people not getting the bonus and Amex telling them to go away after calling. Anyway, moot point soon as no-one will have a Gold charge soon to upgrade from! Ah, what an idiot, that didn’t occur to me! I got the other half to refer me for Gold from her Plat last week, with the aim of upgrading me to Plat before our main holiday in September (which takes in a lot of airports). I know I’ll still be able to get the Plat separately, but missing out on the bonus will be really annoying. The link is :- https://www.americanexpress.com/uk/content/platinum-charge/upgrade/ and I fail to see that Amex can say that you will not be getting the bonus if you adhere to the the rules. I agree with roberto FWIW – nothing in the Terms that I can see in relation to either the Plat upgrade offer or the Gold/Plat companion card offers that says they are targetted, and you can stumble across the offer pages on Google. That’s not to say Amex will give them without a fight… but it doesn’t seem very fair for them to deny the points. Upgraded my charge card a couple of weeks ago… all bonus points correctly posted. Is that right Rob? I thought existing Gold Charge Card holders were going to be allowed to keep hold rather than convert to the credit card version? Sorry, I worded that badly. What I meant was – given the propensity amongst HFP readers to churn Gold – there won’t be many people left holding the charge version in a few months. Your existing card isn’t going anyway if you don’t choose to cancel it. Thanks Roberto, just clicked over the grand so it will be interesting to see my MR balance over the next week or so. Just remortgaging and the best deal I found was with hsbc. This now makes me eligible for their premier world elite credit card. It seems a no brainier with the sign up deal (80,000 points in year 1 if you spend £12k) also the lounge access would be good for when I’m not flying oneworld, as BA silver is the only airline status I hold. Any downsides I’m missing? It’s 80k HSBC points = 40k avios for your £195 in year 1 (and fight for your points and cancellation of card rights so don’t have to pay year 2 – or have T&Cs now changed? I can’t remember) I’ve recently remortgaged to HSBC. They’ve some competitive rates. Keen to know if people have had the points credited on spending 12k or only on the anniversary- the anniversary suggests you’d instantly trigger year 2 payment. Even at 1 avios per £1 spent it’s not bad I guess, especially for not a non Amex. The terms have changed (or at least been clarified); you won’t get the bonus for £12k until year 2 as it’s now referred to as the “first anniversary bonus”. I still don’t think that is clear about having to wait a year – it says points will be awarded within 60 days from the point of qualification, and does not state that waiting a full year is a precondition to qualification! It’s still a fight. The force you to pay the fee to get your points. Called anniversary points as they want you to sign up. They may award you,the points on earning, most don’t get them. Their Csa still don’t know their own t and c. You must deal with a manager, not your RM. My RM knew absolutely nothing. However, after literally days on the phone, a resolution was found. Impossible to deal with. l was quoting amex cs, as being so customer friendly, and just couldn’t believe the hassle hsbc put me through. The real glitch l found out was that in order to convert to the free card, you had to hold the points for 1 year! That meant your conversion date had to be day 1 of the 2nd year, which meant the fee was charged. It’s a real cat and mouse game they are playing. NOT customer friendly, and certainly not used to smart amex players like our lot on here are. I’ve accepted that I’ll pay the 2nd year fee. I’ll get more than 1p / point from the bonuses which effectively makes the card fee free, and I’ll happily take the extra Avios earned along the way. Decent card, the £20 Uber credit for a £500 airline spend should trigger on every Club World redemption you book 🙂 and per person. Having never booked travel on this card yet, I’m curious – how do you actually get the £20 Uber credit? And does it come through immediately at the time of purchase or after some time? Slightly OT, I have the Hilton spend £250, save £50 offer. In the past it’s worked on cumulative spend on advance bookings. I’ve been waiting a few days now and no credit yet – has anyone managed to make it work in this way this time and if so, how long did it take the credit to show? Worth contacting Amex chat to see if they can push it through. Didn’t see anything different in the T&Cs this time round although happened to do it in one charge myself. The offer triggered last night, now just waiting for the cash to come through! Yes, but not for advance bookings in the US, which are billed differently. It’s only on European properties. Check the list of eligible hotels on the offer page. Is churning the best Platinum strategy now? 5 referrals a year see you earn 20k more than the max 2 sign ups. I think it still is for me (based on how many cards I want to apply for and done in the right way). Mine worked on a UK advance reservation, although met the target in one booking. Got the ‘thanks for using the offer’ email a couple of days after booking, credit appeared on statement about 3 days after that. What partners can you transfer Amex MR points under a family members account? You can send them to Hilton and SPG into that pesons own account and then combine points from there. I’ve managed it with SQ before; and obviously a BA HHA achieves the same. If you can pre-pair your accounts then the actual transfer should be fine. OT Does anyone know when the Hilton summer sale starts? This week I think. I know there are some ads booked but Anika is handling it. O/T I’ve been trying to combine Avios over the weekend and apparently there is an issue. Anyone got any further information on this? I’ve tried contacting them and they said its broken and they don’t know when its going to be fixed. I want to book a redemption via Iberia and my avios live in my BA account. Theres no availability showing in BA. I’ve tweeted them again and they say they are unable to transfer Avios either online or over the phone and they have no time frame of when this will be fixed. Bit annoying! I’m about to cancel my Amex Platinum within the first month of ownership. Does anyone know what additional card services persist beyond cancellation? Can I still use Priority Pass etc. after I’ve left Amex? The hotel cards remain. Priority Pass is cancelled instantly. Robs comments about 1000 Tesco points equating to 2400 Avios made me check my latest Tesco Clubcard statement which arrived last week. For some reason I’m getting 3.2 Avios per Clubcard points. I presume it’s because I’ve had my card for years. I don’t want to ask Tesco why as they might try to reduce the amount earned. Does anybody else have this amount of Avios per Tesco point? You are right – certain legacy customers maintain their historic Avios conversion rate. They shouldn’t take it away from you but, as you say, there’s not much to be gained by bringing it up with them! Thank you for that. My wife has reminded me that when we owned an hotel and were spending heaps of money on the card, Tesco did give us some sort of “Platinum” status she thinks. But we sold the hotel over 15 years ago and the memory begins to fade………. However, I shall just thank my lucky stars that I have the legacy conversion. OT but kind of on topic. HSBC premier credit card. I had it and cancelled it. Waited around 9 months and applied again. Got bonus for spending 2k. So churnable. One of the good benefits on the Premier card is the free Domestic Appliance insurance. Where it gets confusing is that HSBC offer you an upgrade to the World Elite Card, but it seems that this benefit disappears. So much for the upgrade (I haven’t used Loungekey once). That is annoying. Same happens with Amex Gold and Plat. Why don’t they give 3 MR per £1 spent on Amex Travel by using Plat? Has anyone heard anything on the Barclaycard Hilton card ? But just wondering if there is anything at all out there on the card front for HIlton in the UK ? The Hilton card lady is at the Bastille gig on Saturday night so if I see her I will ask. Tried to do this online over a few days, needed to setup transfer account, failed each time with a ‘try again later or call us message’. Caved today and called them, after some time on hold they said that with the move from Radisson to CC they have various backend issues, which may take ‘up to 14 days to resolve’ (apparently Amex have to send a manual linkage request over to CC as the Radisson->CC switch is in progress from their side). Anyone have any experience of this over the last few weeks? Keen to know if ‘up to 14 days’ is actually that, or is a CYA for ‘normally quick but can take longer’. That’s nonsense I think. I did two transfers last night, both accepted immediately and one (for my wife) on an Amex account not already linked to RR. Obviously the points haven’t arrived yet but the transfer and linkage were accepted. Note that you only use the last 10 digits on your RR account number. Use the last 10 and you can link it online perfectly well. Trying to book a room at PP for this weekend’s Bastille concert – amex tripping me every step of the way! Anika and I now have our media passes for that, so we will see you there. OT: Went into Esso and used the offer to buy some gift cards. Nothing has shown up on my statement yet, is there a delay? Did you see 20% off some gift cards in Tesco too? I have today received the £5 statement credit for each of three £50 purchases on same visit on 30th May, all on the same card. But no email for the three today at 1200. Can anyone reassure me that cancelling my BA card that was used to gain a companion voucher (actually earned it on the PP card and then downgraded to blue card) won’t have an impact on my booking with said companion voucher? I actually used a different Amex card to pay the taxes on the booking anyway. Should I need to cancel the booking (unlikely), what will happen to the voucher? Will it just go back to my BA account? Should be fine. Once with BA it is safe with BA almost 100%. The two are separate right? Yep MR and Avios are separate rewards currencies so no interaction between them when it comes to churning. OT – Are reward flights in Business class/1st Class easy to come by on a BA 241 to Bangkok? I’m looking to book for Aug 19 and was looking for some advice. Thanks in advance. You should be fine in August, I’ve recently booked a 241 for 2019 back from BKK. If you are having difficulty check Hong Kong as an alternate, the connections to Thai destinations are pretty good and the frequency/availability to HKG is usually better. Look a baredemptionfinder.com – it will show you in a few seconds what is available for the next year. Remember that if you ring exactly 355 days before you should get the guaranteed 2 CW seats anyway. No First Class to BKK if you’re flying direct.. Its a clunky old three class 777 only unfortunatly. You could go the long way round via Hong Kong and go First on the 380 and get CCR out of LHR if your prefer of course.